Guided meditation is a great way to counter anxiety and is also one of the oldest forms of meditation practices. As early as the 12th century, Benedictine monks practised a form of Christian meditation that stated the involvement of steps into the process “read, ponder, pray, contemplate” giving some clarity on routine. It wasn’t until the 1960’s that meditation became a practice for the masses were guided meditation classes, retreats and trips to spots like India and Asia were considered to be an effective way to meditate. Mediation became popular with successful artists and bands like John Lennon, the Beatles and lots more who influenced their generation. This form of meditation simply means that materials support the meditation. One of the most popular forms of guided meditation is in-person guided meditation, with a lot of individuals attending classes and sessions around the world to follow the routines and practices of successful people. Guided meditation has slowly become a form of meditation used by many beginners and those advanced individuals who want to go deeper on a particular topic and type of learning to reach a stronger state of meditation and calm. How does Guided Meditation support Anxiety? Meditation, as a whole, has been used as a treatment for anxiety for hundreds of years. The nature of relaxation and the neurological effects of meditation have proven to be one of the best ways to reduce stress, pressure, and anxiety in everyday life. Regular forms of meditation can sometimes be tricky for those beginners who are getting started and for those frustrated with their personal anxiety keeping things simple is the key to successful meditations to help soothe anxiety. Guided meditation for anxiety has become an effective way to support those with anxiety thanks to the layers that guided meditation provided, this can support their efforts in visualization and imagination, both that can affect positive change. 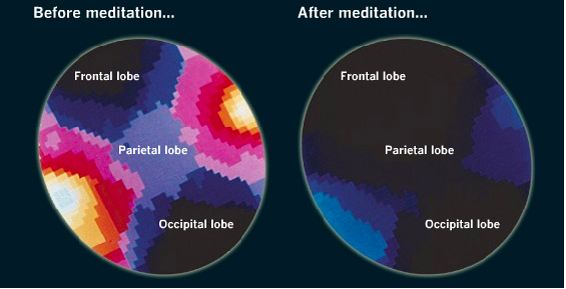 Chemically inside of the brain, meditation has been a proven format to help support cognitive function and reduce negative effects on the brain. During a guided meditation session, individuals can experience deeper relaxation experience. This is due to mind switching off during the sessions to rest, but the subconscious being open to suggestions from the experience, giving you a deeper relaxation state, perfect for beginners. they used meditation as a form of mindfulness. The 2012 NHIS report also stated that 9.5% of US adults participated in yoga showcasing the potential to use both of these forms of meditation together to combat anxiety. How should I get started with Guided Meditation for anxiety? Mediation teachers – Classes and meditation groups might be an excellent way to start with guided meditation. For your anxiety, this’ll help to meet others that might be using meditation to help treat their anxiety. Guided imagery – Most of the time, guided mediations tend to focus on the state of your body and mind. Guided imagery can focus the attention on the visualization techniques that help to reduce stress and anxiety. A teacher might implement some of these techniques during a meditation session. Religious teachings – Religions like Christianity and Buddhism have many meditation practices that apply audio, visual and written lessons to help guide your meditation. From monks chanting to silent meditation retreats, these practices, religious or not can be robust for supporting your anxiety. Audio CD – A favorite technique is using audio CDs that help you through guided meditation, this essentially replaces the need for a meditation teacher. Audio CDs add value by providing a crisp audio experience eliminating any background noise. Audio CDs can be a very personal experience to get started with. YouTube/Spotify – If you lack a CD player, try resources like YouTube and Spotify to find a few guided meditation tracks. Providing you with a portable way to jump into your meditation wherever you might be. Home or at the office, easy access. To further assist you in your hunt to find the best forms of guided meditation, we’d like to suggest a few applications that have become popular in the last five years to assist meditation and provide a portable, easy to use guided meditation experience. There is a host of apps that provided guided meditation experiences. 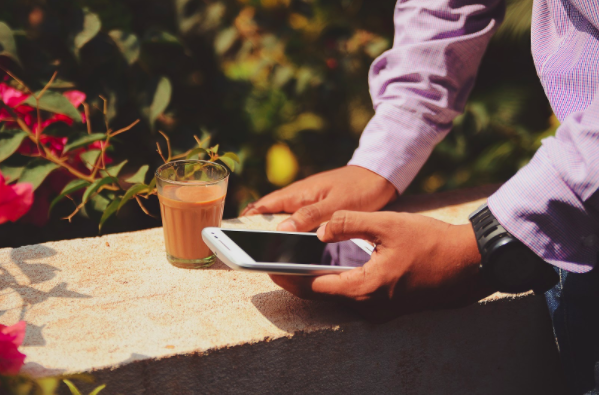 If you’re looking for a few more app recommendations for coping with anxiety, our comprehensive list of ten apps for anxiety should assist you in discovering more. We strongly recommend our own app Therachat though, a free mobile app that will help you track, journal and try guided meditation. Getting started can be very difficult. Knowing where to go and what specifics to seek out to help combat your anxiety can cause a negative loop of emotions. There’s no better way to start the day that a peaceful practice like meditation. Many individuals rush at the start of their day, using meditation to slow the first part of your time down will pay dividends in the future. Aim to feel comfortable with each meditation practice, feeling pressure as you get started to go forward with your guided meditation setup will only be detrimental for your anxiety. Take your time when choosing your next form of meditation or guided practice. Adding a layer of yoga or even journaling in the afternoon can be a great way to help further improve your mindful practice. Together these mindful practices will help build a foundational effort to help support your anxiety. We wish you all the best in your guided meditation ventures. If you have any recommendations that have worked for you, feel free to add them in the comments below.